The dark horse on this year’s shortlist of best mobile shops, Mutual Mobile has quietly been earning the esteem of agency elites for some time. “Mutual Mobile goes above and beyond to see the big picture, connecting the dots between user needs, business objectives and market opportunities,” says Nathaniel Davis, vice president, healthcare experience transformation, Digitas Health. What the Austin-based agency lacks in size, it makes up in vision and precision. “They deliver design with a capital ‘D,’ and their apps are as thoughtful as they are beautiful,” he adds. Time and again, Mutual seems to shine at the razor’s edge of technological innovation. Take the work it did for Walmart when the mega retailer wanted to showcase its in-store experience of the future for South by Southwest. “We wanted to generate some positive buzz and get people thinking about Walmart as a technology company,” said Jason Norris, director of engineering, Walmart Technology. Mutual designed a virtual-reality experience that transported users into a detail-rich store environment with augmented-reality displays, virtual sales associates, smart shopping carts and other futuristic innovations. The end result blew away Norris and his team. As illustrated by its first killer app, Mutual has grown quickly since its 2009 founding. Named Hangtime, the app literally measured how high users could chuck their smartphones into the sky. Since then, the self-described emerging technology company has branched out into more sober arenas, such as transportation, finance, education and healthcare. Recently, the agency did some of its best design work for Hanger Clinic, which specializes in cutting-edge orthotics and prosthetics. While Mutual’s work spans the Internet of Things, AR, VR and “conversation design” (think virtual assistants like Amazon’s Alexa and Google Home), the agency is still best known for its flawless and imaginative app design. To date, its developers have launched hundreds of enviable apps for top brands, including Nike, National Geographic, ESPN, Google, Audi, Disney and Cisco. Mutual is also remarkable for helping pioneering brands maximize their disruptive potential. 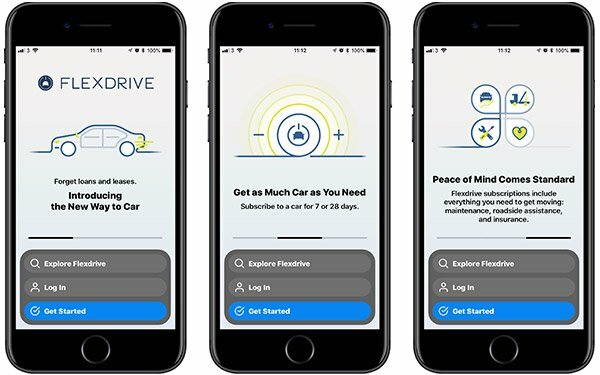 Consider its work for Flexdrive, which sits under the Cox Auto umbrella, and likens its subscription model to Netflix — but for cars. Going way beyond app design, Mutual reconceived the company’s technology infrastructure so it could keep up with market demand. Jose Puente, Flexdrive’s founder-CEO, now credits Mutual with helping him quickly expand from a fleet of 35 vehicles in one market to nearly 6,000 vehicles in 10 major metropolitan areas. Not forgetting its roots, however, Mutual remains focused on improving Flexdrive’s flagship app, which can already retrieve approval statuses within 30 seconds, provide GPS locations of selected vehicles and process payments. In addition, the singular approach Mutual takes to winning new business is noteworthy. Rather than waiting to pitch brands when their accounts come up for review, the agency suggests partnerships when inspiration strikes. For example, after geeking out on some health-and-sleep-tracking technology, Mutual reached out to Select Comfort, maker of the Sleep Number beds. Soon after, Mutual began building apps that communicated directly with consumers’ Select Comfort mattresses. Such bold business practices helped Mutual surpass $200 million in revenue — not bad for a shop founded by some University of Texas undergrads.